Every year the Atlanta Food and Wine Festival proves to be one of the area’s most celebrated events for culinary enthusiasts. 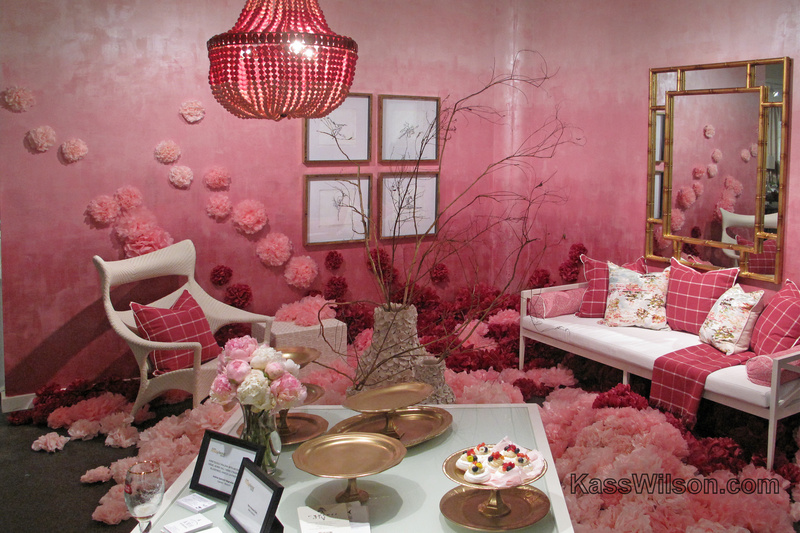 This year’s festivities included a new venue at ADAC‒ the Atlanta Decorative Arts Center. Chefs from the Rathbun’s watch list were partnered with outstanding designers in Atlanta to create exhibits that offered a full sensory experience to showcase their delicacies. 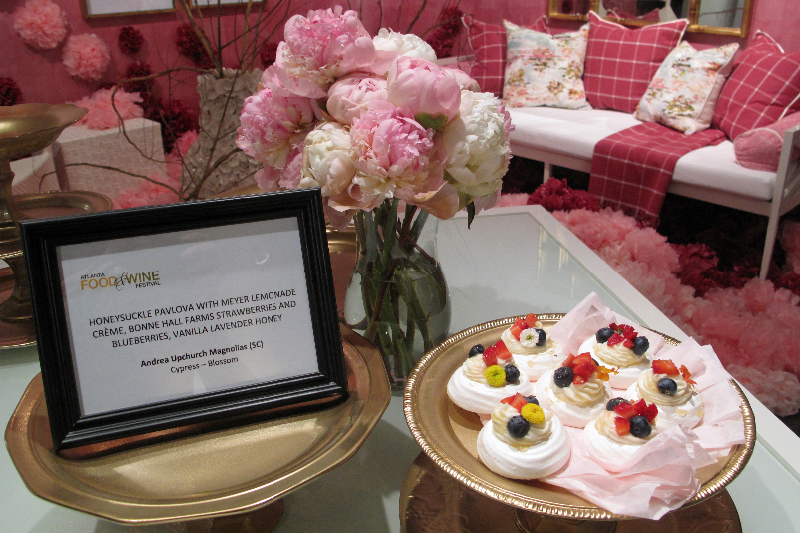 KMH Interiors joined chef Andrea Lever Upchurch, who featured a Pavlova. This light and fluffy dessert was inspired by the Russian prima ballerina Anna Matveyevna Pavlova. 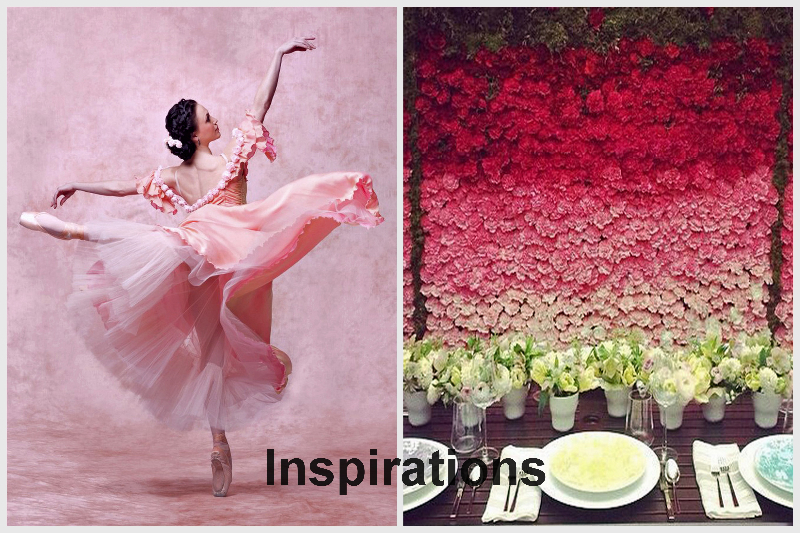 It represents the ballerina’s famous swan costume consisting of a gracefully airy layered tutu and delicate cabbage roses. The beautiful shimmer and gentle ombré effect of this decorative finish created the perfect backdrop for this elegant presentation. 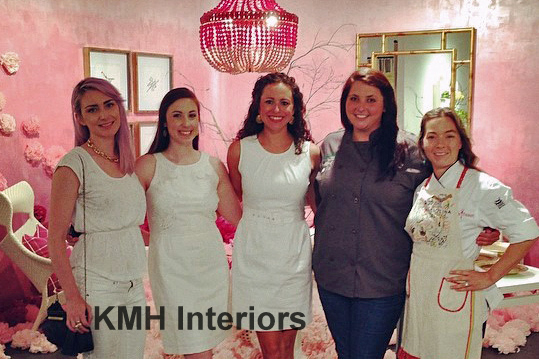 You cannot ask for a better creative team to work with than KMH Interiors. All I can say is WOW! What great inspiration you had. The resulting wall finish looks delicious! So much depth and pizzaz. Awesome!! Absolutely amazing! I love the use of metallic playing off the delicacy of pink, flowers, and bling! 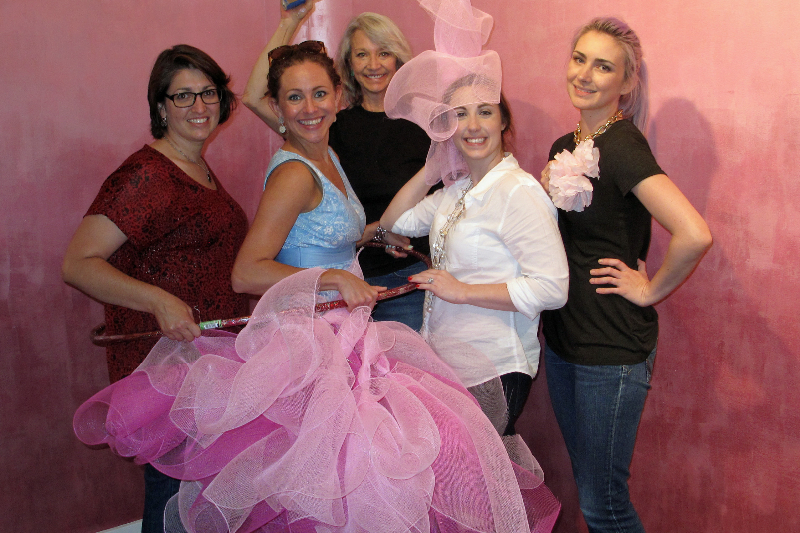 So feminine and fun!